A petition filed late Tuesday by the Western Watersheds Project, among others, starts a formal process to prevent the USDA’s wildlife services unit from using the devices across Idaho and mandates removal of existing devices. 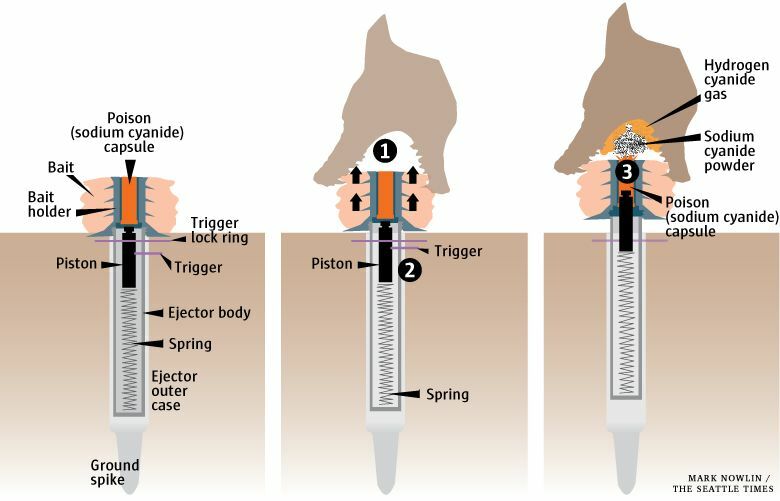 BOISE, Idaho — Environmental groups have petitioned the U.S. Agriculture Department to ban its use of cyanide-ejecting devices aimed at killing coyotes after one went off near a boy and his dog earlier this month, killing the dog. The petition filed late Tuesday by the Western Watersheds Project and other groups starts a formal process to prevent the department’s wildlife services division from using the devices across Idaho and to mandate the removal of existing devices. “These devices are indiscriminate in their lethal effects, and cannot be rendered safe for non-target wildlife, domestic pets, and local residents,” the petition stated. 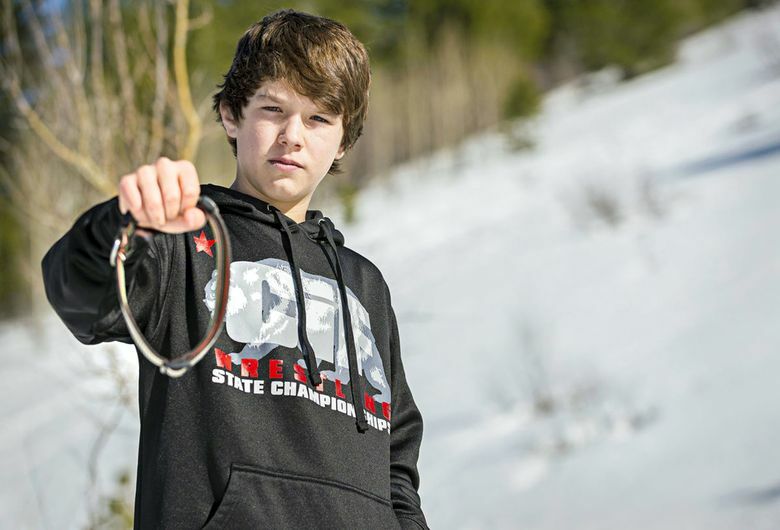 Canyon Mansfield, 14, has suffered headaches since he was exposed March 16 while checking out a device on public land about 300 yards from home on the outskirts of Pocatello in eastern Idaho. The Agriculture Department did not respond Wednesday to an emailed request for comment. It has previously said it’s investigating and reviewing its procedures. The devices are planted to kill coyotes and other livestock predators. They killed about 12,500 coyotes in 2016, mostly in Western states. 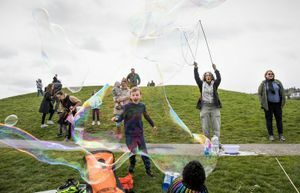 “Our petition calls upon Wildlife Services to take action to eliminate these brutal and indiscriminate chemical weapons before more kids and pets get hurt,” Erik Molvar, executive director of Western Watersheds Project, said in a statement. The wildlife services division in November said it would stop putting the devices on public land in Idaho. But officials with the U.S. Bureau of Land Management told The Associated Press on Tuesday that the device that injured the boy was on federally owned land and had been placed there in late February. The petition claims that the device that activated had been placed within a quarter mile of three homes in violation of the federal agency’s policy that requires the cyanide devices to be more than a quarter mile from homes. About 40 dogs have died because of the cyanide devices over the last 20 years, and a handful of people who came into contact with them have been injured, the petition said. Mark Mansfield, the boy’s father and a physician, said he’d never heard of the devices called M-44s until his son was exposed and his son’s Labrador retriever named Casey died. He also said he didn’t know they’re made in Pocatello, where he practices. “When I found out, I got the chills,” Mansfield said. Local officials are conducting a criminal investigation and plan to turn over findings to prosecutors in Bannock County who would decide whether to pursue charges. They have interviewed the wildlife services division worker who placed the device and another one near it but have not identified the worker. The groups that filed the petition are awaiting a response from the wildlife services division, said Andrea Santarsiere, a senior attorney with the Center for Biological Diversity. 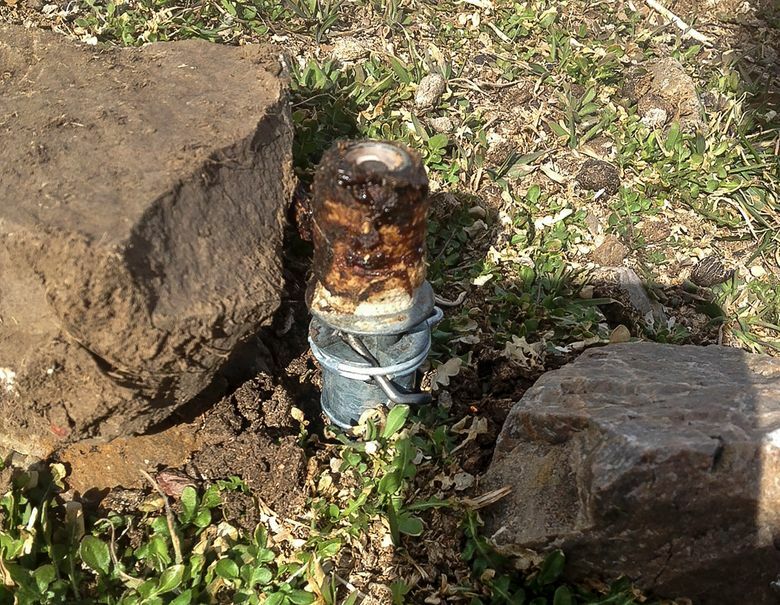 “Cyanide bombs are an indiscriminate and inhumane method of ‘predator control,’ and given their proven danger to humans and companion animals, these devices have no rightful place in wildlife policy,” she said in a statement. Ranchers and others with livestock in Idaho who graze their animals on public and private land have supported use of the devices. The Idaho Cattle Association that represents the state’s ranchers said no one was available to be interviewed about the devices on Wednesday. Government efforts to protect livestock from predators have been a tradition in Western U.S. states for more than a century, said John Freemuth, a Boise State University environmental policy professor and public lands expert.